Three years ago, Marissa Alexander, who had recently given birth to a daughter, fired a warning shot as her ex-husband attacked her. She was refused Stand Your Ground and convicted of aggravated assault with a minimum of 20 years in prison, where she awaits a new trial. 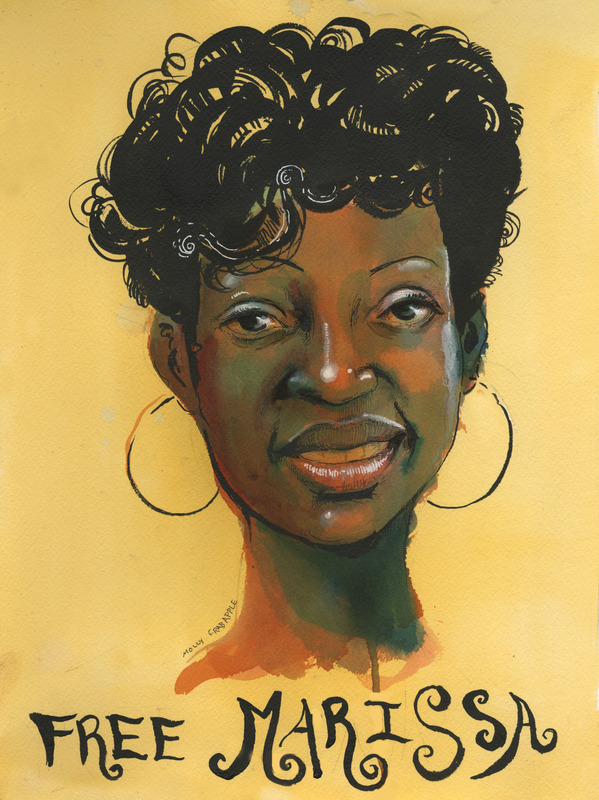 The poster above was done for the Free Marissa Alexander Campaign. Click it for a hi-res copy and share it to spread the word, with credit please. For more information on Marissa’s case, click here. This entry was posted in Uncategorized on October 17, 2013 by 7548pwpadmin.